Charlie Thackston is the President and Co-Founder of SOAR Performance Group. Charlie is responsible for the vision and strategy of the company. Additionally, Charlie is a lead consultant, responsible for developing and implementing Sales Capital Management℠ solutions for our clients. 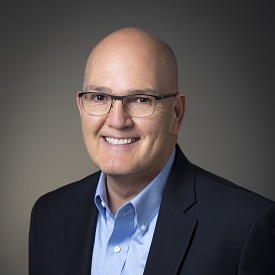 In his experience as a managing partner for a leading sales effectiveness consulting firm, Charlie has helped global sales organizations such as HP, Siemens, Verizon and SAP to enable sales best practices to achieve improved business results. Charlie’s Sales Capital Management℠ engagements have focused on accelerating growth, sales leadership development, sales performance coaching, global account management skills, consultative selling skills, new business development, partner/channel management, territory management, funnel/forecast management, collaborative business planning, margin acceleration strategies, and executive engagement skills. Additionally, as a Vice President responsible for sales, marketing, and business development, Charlie has led high performance teams that consistently delivered accelerated growth in both revenue and profitability. His leadership enabled successful public stock offerings for two market innovators, T/R Systems (acquired by EFI) and Datalogix (acquired by Oracle). Additionally, he has served in the role of Vice President of Marketing for Firstwave, an early leader in the customer relationship management market, sales consultant roles for Management Science America (MSA) where he was consistently recognized as a top performer and financial management roles with General Electric and Monsanto. Charlie is co-founder of the Atlanta Sales Leadership Community. He holds BBA and MBA degrees in Accounting and Finance from the University of Georgia, and resides in Atlanta, Georgia with his wife.